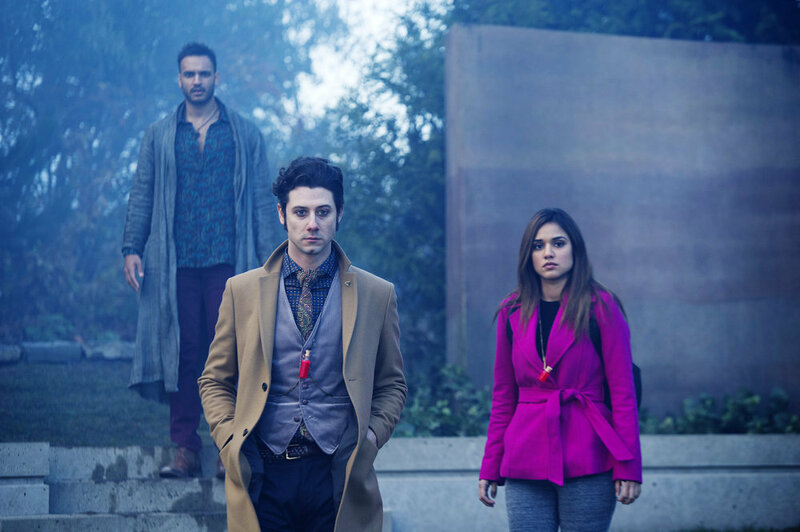 Syfy announced today the season 2 premiere information for The Expanse and The Magicians. Based on the bestselling novels from Lev Grossman, Syfy’s hit drama THE MAGICIANS centers on Quentin Coldwater (Jason Ralph) and his 20-something friends as they discover their magical abilities at Brakebills University, a secret grad school specializing in magic. While there, they come to the realization that the fantasies they read about as children are all too real, and unwittingly invite a malevolent entity from the other side into their lives. Heading into Season 2, this group of unlikely heroes have been thrust into even more dangerous and unfamiliar territory, and must draw upon their novice skills to defeat a threat that could destroy the magical world itself. Driven by power, revenge and survival, they learn that those who entered the hauntingly beautiful world of Fillory will never be the same as those who leave. The story of THE EXPANSE unfolds across a colonized galaxy 200 years in the future, when two strangers – a hardened detective, Joe Miller (Thomas Jane), and a rogue ship’s captain, James Holden (Steven Strait) – become unwittingly swept up in a vast conspiracy to cover up a horrific human experiment. As Season 2 kicks off with interplanetary tensions at an all-time high, the cold war between Earth and Mars is on the brink of an all-out battle. The series is based on the New York Times bestselling book series collectively known as “The Expanse,” written by Daniel Abraham and Ty Franck (under the pen name James S. A. Corey).